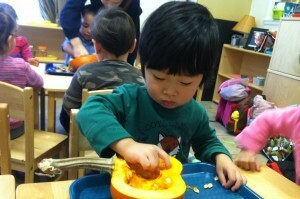 Hudson Montessori School provides programs for children, from ages 2 through 12 years (6th grade). Please visit the Admissions page to apply for admission into the 2018-2019 school year. 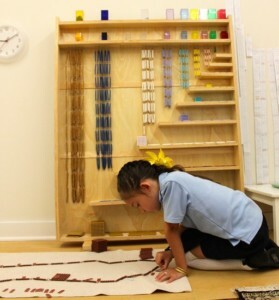 The Toddler Program is designed to stimulate the senses of our young children and for them to feel and learn from the many Montessori materials laid out in an orderly, sequential fashion. The classrooms are arranged for our children to be able to explore and discover many new things. 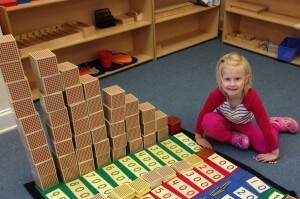 The Bridge Primary program at Hudson Montessori is designed for transitional 3s to prepare them for the order and structure of the Primary program. The Bridge program follows the curriculum of the Primary program, adjusted to the early learning level of the younger three year olds. 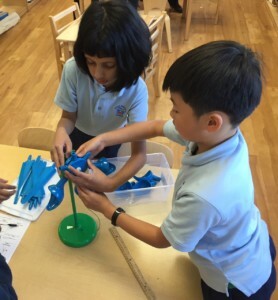 The Primary Program at Hudson Montessori serves as the core unit of study in the Montessori Method and is the foundation for all future learning at our school. The Primary Program is a multi-age classroom setting, with students ranging in age from 3 to 5 years old. The classroom is a creative, innovative and constructive environment, which is designed to create a love of learning. The Kindergarten program at Hudson Montessori is an extension of our Primary Program and follows the Montessori philosophy as in Primary programs. At the same time, this is also the grade where we start complement traditional Montessori education with modern research-based curriculum. The Elementary program at Hudson Montessori adheres to the core principals of the Montessori philosophy: individualized learning, hands-on Montessori materials and blocks of uninterrupted work time. In addition, we have incorporated elements from modern research-based curriculum to enhance our Montessori Curriculum at HMS. Our Upper Elementary Program at Hudson Montessori School provides students with opportunities to develop social and leadership skills. Our Upper elementary Curriculum aligns with state standards and integrates Montessori philosophy and experiential learning . Our STEAM and Maker Program uses the project based approach to provide learning across the various disciplines. 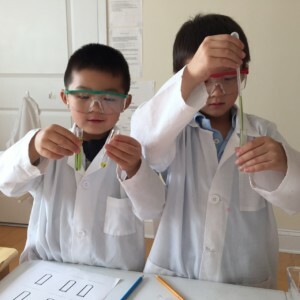 Kindergarten and Elementary Grades children attend the Full Day and Extended Day programs.